The bustling town of Quepos serves as the gateway to the paradise that is Manuel Antonio National Park. This convenient stop on the way to Manuel Antonio offers a wealth of goods and services solidifying it as the capital of Aguirre canton in Puntarenas Province. It’s highly driven by the tourism industry and you’ll even find nightclubs in Quepos. There are many hotels, restaurants and markets within the town as well as an airport, Quepos La Managua Airport. Most visitors desire to live or stay in Manuel Antonio, but are not even aware that Quepos is an option that is very close in. Year around the town has a population of about 22,000. Searching for a great area to invest in? Quepos Property here would be extremely easy to rent if you desire rental income. In 2011, Manuel Antonio National Park was listed by Forbes as being among the world’s 12 most beautiful national parks. You know the beautiful beach photos that you often see in magazines and commercials. Many of those beaches are found in the Southern Pacific Zone of Costa Rica. For those desiring to live in town, Quepos has some great options. Manuel Antonio is an area widely known for its Costa Rica condos/villas and gorgeous luxury Costa Rica real estate. Many listings such as this one – Vista Oceana , are within walking distance to the beach! The area is also known for its world class fishing, Quepos is home to some 100 different sport fishing boats and outposts. We are a full service Costa Rica real estate realty company. We are fluent in English and Spanish and would love to help you in the process of buying a home in Costa Rica. We work with all types of buyers including first timers that have never purchased real estate in a foreign locale as well as developers that are looking to develop large scale projects. 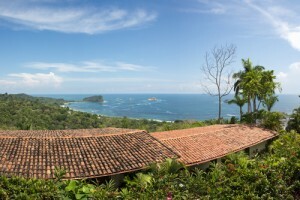 Posted in News and tagged Manuel Antonio Real Estate.